Watch full Lupin the Third Episode 14 English Dubbed streaming online. Lupin the Third Episode 14 English dub online for free in HD. Zenigata is able to stop several attempts by Lupin to escape from many italian prisons, but the italian government can’t afford all the costs for such surveillance. 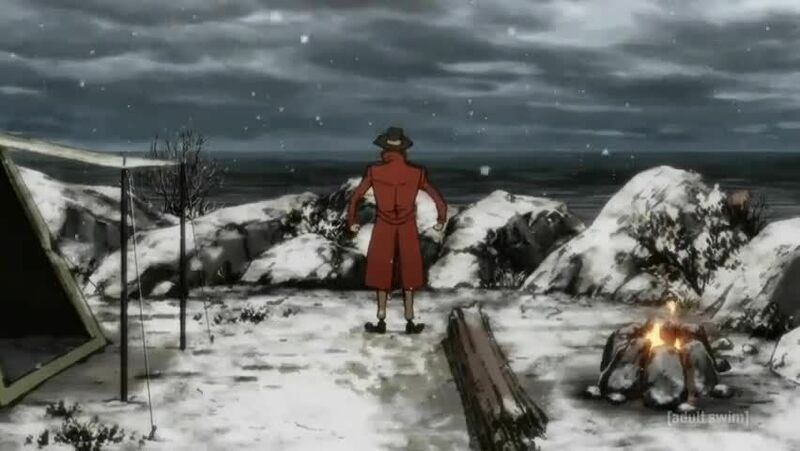 So, to prevent him to escape once and for all, Zenigata escorts Lupin to a single, impenetrable cell on a tiny island, under his personal surveillance. But not even this will prove enough to stop the King of Thieves. Meanwhile, a mysterious prisoner manages to escape from the MI6’s headquarters in Rome.